Floyd Junior Coots obituary. Carnes Funeral Home. Oct 25, 2012 To my father. 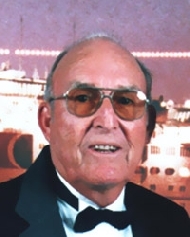 Floyd Junior Coots of San Leon, Texas was called to Heaven on Tuesday, February 22, 2011. He was born in McMinnville, TN on January 16, 1931. He is preceded in death by his parents MaryLou and Doyle Coots; son Floyd “Al” Coots; sisters Wanda Cantrell, Daisy Blaylock, and Winnie Zumwalt; and nieces Pat, Connie, and Winnie Fay. He is survived by his wife Helen; daughters Yvonne and husband Brian Manis, and Rebecca Coots; son Johnathon Coots; sisters Marie Mutchler and Anna Jo Adkins; 9 grandchildren; 18 great grandchildren; step daughters Pam Baird and Pat Fink; 3grandchildren; 8 great grandchildren; several nieces and nephews; and many friends. Floyd Coots was a loving husband, father, brother, and grandfather. He was a Sergeant in the Korean War. After serving in the war, he later became a Minister, where he not only witnessed to the people but he also helped to build several churches. He worked several years for Brown and Root as a welder and teacher. For his final career, he was a successful self-employed Construction Contractor. He loved his family and was a friend to everyone he met. He was a strong and bright man and his presence will truly be missed. Visitation will be held at Carnes Funeral Home 3100 Gulf Fwy Texas City, TX on Friday, February 25, 2011 from 5:00 p.m. until 8:00 p.m. Service will be held at Bayshore Friends Church 3507 Walsh Bacliff, TX on Saturday, February 26, 2011 beginning at 10:00 a.m. Pallbearers: Johnathon Coots, Brian Manis, Ivan Garrison, Eric Putnam, Charles Holdren, and Louis Gonzales. The honorary Pallbearers are Mike Maples and Don Owens.